Admittedly, I’ve had a pretty weak week. Most of my captures have been of the low hanging fruit variety. I simply grabbed a quick image in the course of my daily routine. It is something that is inevitable in this challenge, I think, as life gets in the way. But this week there were more of those days than I should have for one week. And today I almost caved to laziness. But I decided late in the day to take a drive through Lawrence to grab an image for today and to do some scouting for future days. I hit some of the narrower, tighter neighborhoods and found some interesting places to photograph. 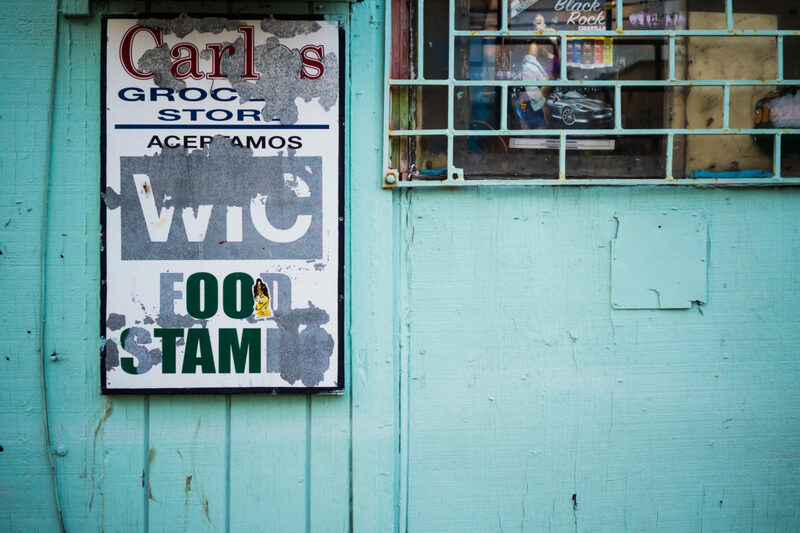 For today’s image I found a barbershop that I wanted to shoot, but when I got out of the car I noticed this sign. The barbershop will have to wait for another day. I wouldn’t purchase any perishable items here.